Elizabeth Banks has partnered with YouTube Space to launch a new production program to support women in comedy, the company announced on Monday. The program will invite creators to nine YouTube Space locations around the world, where they will develop female-centric comedy content with mentorship from Banks and her digital media company WhoHaHa. In 2018, selected creators will ​produce ​a ​digital ​pilot ​for their ​YouTube series ​with ​the ​help ​of professionally ​designed ​sets ​and ​assistance ​from ​trained ​production ​crews. “At ​WhoHaha ​we ​believe ​it’s ​not ​only ​important ​but ​essential ​for ​women ​to ​have ​a platform ​to ​be ​able ​to share ​their ​voices ​and ​creativity. 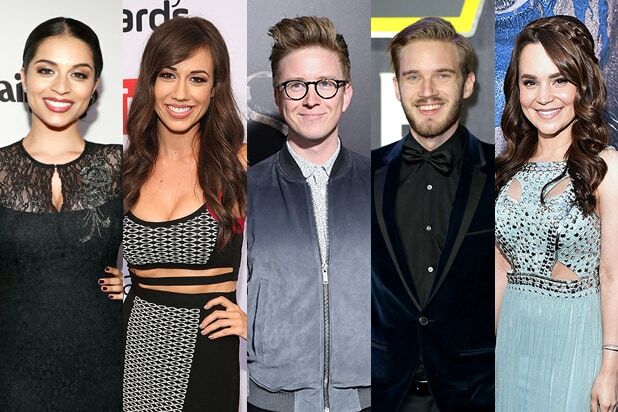 ​That’s ​why ​we’re ​excited ​to ​be ​teaming ​up ​with ​YouTube ​Space ​on ​this initiative ​that’s ​providing ​such ​a ​groundbreaking ​opportunity ​to ​creators ​all ​over ​the ​world,” Banks said in a statement. “Women ​are ​underrepresented ​in ​the ​entertainment ​industry ​and ​we ​want ​to ​do ​our ​part ​to ​help ​put women ​front ​and ​center. ​This ​new ​partnership ​with ​Elizabeth ​Banks ​and ​WhoHaHa ​is ​our ​latest ​effort towards ​this ​goal. ​We ​are ​thrilled ​to ​be ​collaborating ​with ​one ​of ​the ​funniest ​in ​the ​business ​to ​support the ​talented ​female ​comedians ​on ​YouTube,” ​added ​Chris ​D’Angelo, ​director ​of ​production ​and programming, ​YouTube ​Space.